Hojicha, a roasted green tea from Japan, with its nutty flavor is great for flavoring hot chocolate. 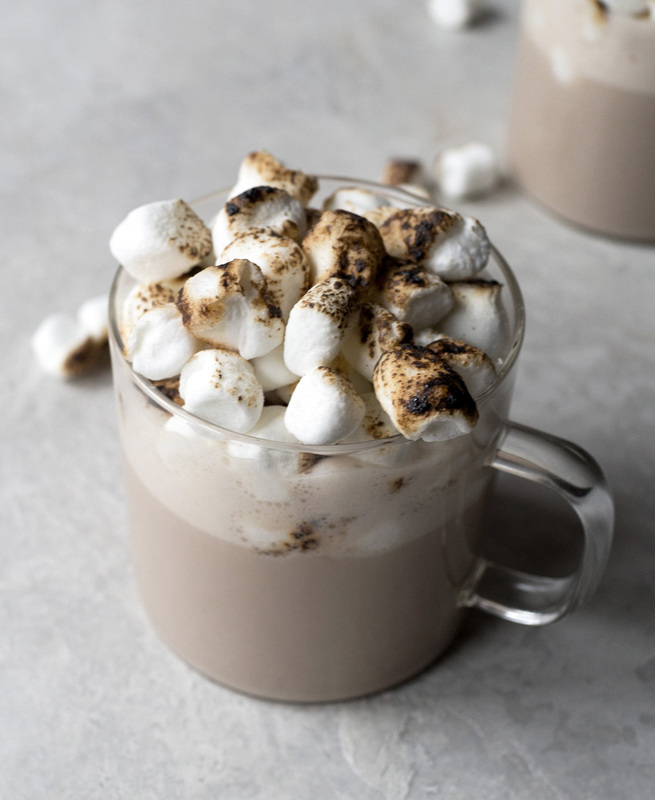 Top off the tea infused white hot chocolate with toasted marshmallows and you’ve got a tasty hot drink. I made a prediction that this year will be all about hojicha and puerh tea and dammit, I’m going to make it happen. Even if that means every other post on here is hojicha or puerh. Hojicha tea was one of my first loves. Looking back, I remember the days when hojicha and I used to take long walks on the beach and stay up all night (from not being able to sleep from drinking too much of it). Ahhh, how young and innocent we were then! It doesn’t look like a green tea since it’s brown, but yup, it’s a green tea. Hojicha is a Japanese tea and gets its brown color from the roasting process which creates a toasty and nutty tasting tea. Hojicha is not as sensitive to water temperature in that it doesn’t get too astringent or bitter if its steeped in water that’s too hot unlike other green teas. It’s a bit more forgiving and also a lot more versatile when it comes to pairing it with food. Generally I like Japanese green teas with something sweet but with hojicha both sweet and savories works really well. I usually like to have it with a rice based dish. It also goes really well with sushi. I always opt for loose tea over tea bags since the quality is so much better. Mini marshmallows if you’d like. This one has an easy-to-pour spout. To separate the tea leaves from the hot chocolate. To toast the mini marshmallows. 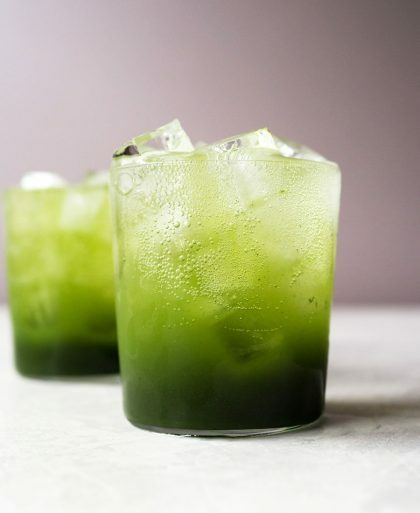 I’ve done a ton of matcha recipes and and have found that hojicha does just as well when it’s incorporated into a dairy base. Since my Matcha White Hot Chocolate recipe tastes delicious, I did a hojicha version. The hojicha with its roasty notes works so well with the sweet chocolate and the additional toastiness from the marshmallows. 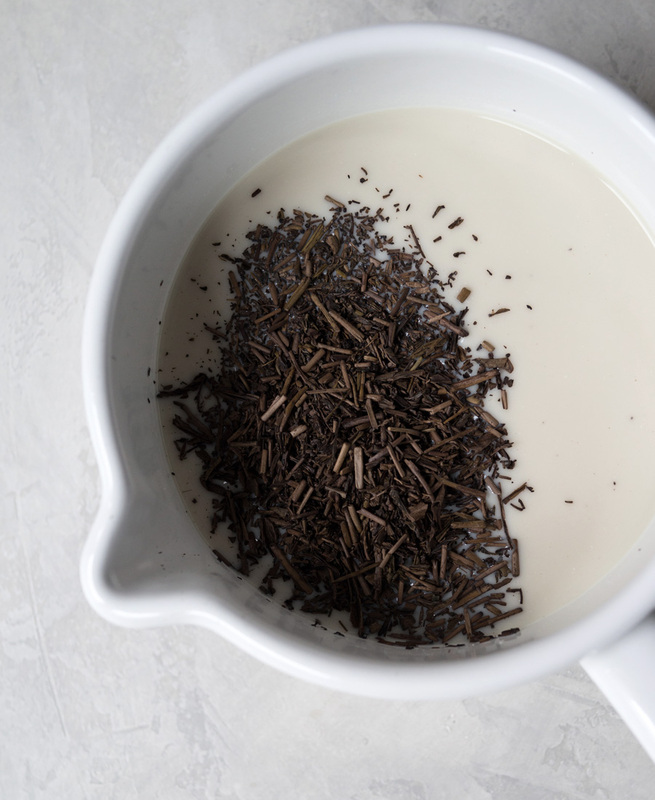 It all starts with hojicha tea in milk. Simmering on the stove for 5 minutes then steeping for another 5 minutes. If you want to be neater about the whole thing, put the loose tea into a tea bag. 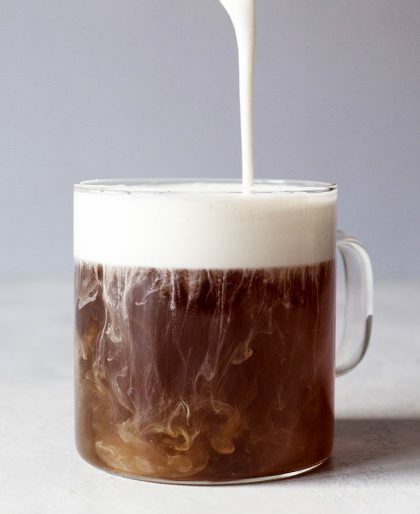 I, however, like to see the tea moving around the milk freely and giving it room so I take the extra step in straining out the tea out of the milk after the steep. 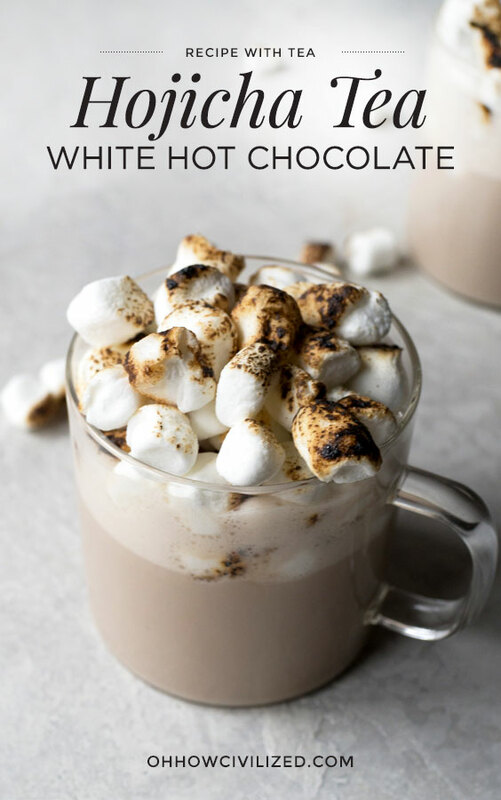 My Earl Grey Hot Chocolate is SUPER rich, but I lightened this one up a bit since I wanted to add the toasted marshmallows which sweetens the hot chocolate as it melts. 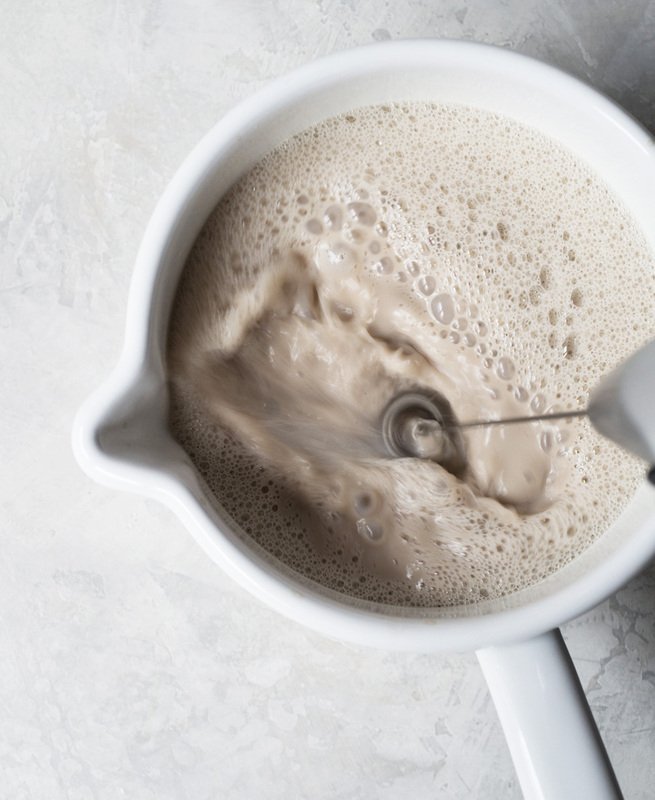 I used a handheld milk frother to incorporate the white chocolate into the hojicha milk but you can always just use a whisk. Don’t ask how many mini marshmallows I ate testing this recipe. Spoiler alert: A CRAP LOAD. 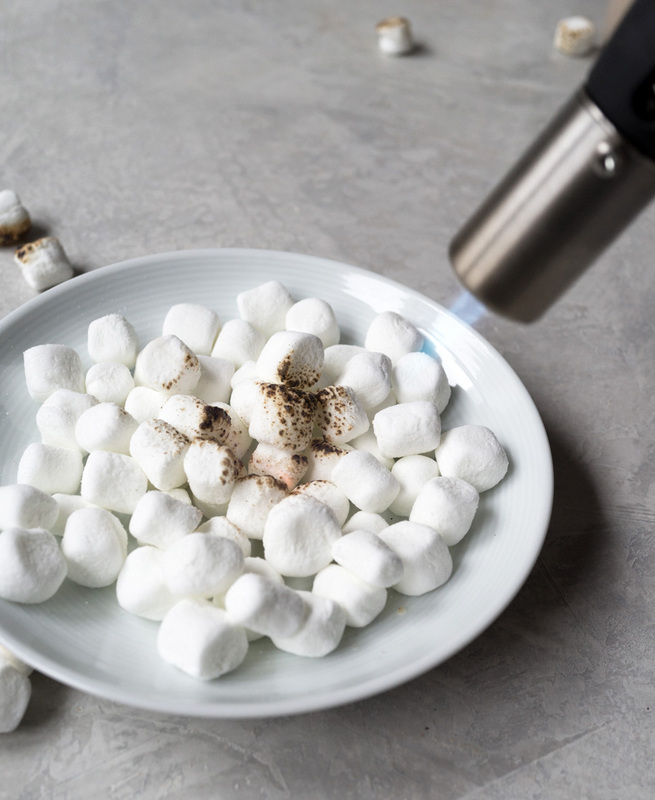 To toast the mini marshmallows, I used my trusty kitchen torch — it toasted the marshmallows in seconds. If you don’t have a torch, don’t worry, you can add in the marshmallows without toasting them and it’ll still taste delicious. 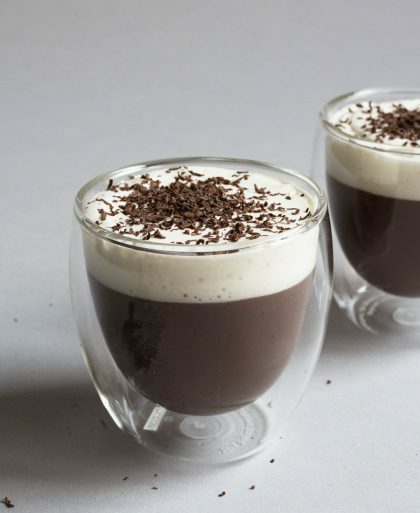 Hojicha with its nutty flavor is great for flavoring hot chocolate. Simmer for five minutes then turn off the heat. Let tea steep in milk for another five minutes off the heat. Strain out the tea leaves or discard the tea bag. 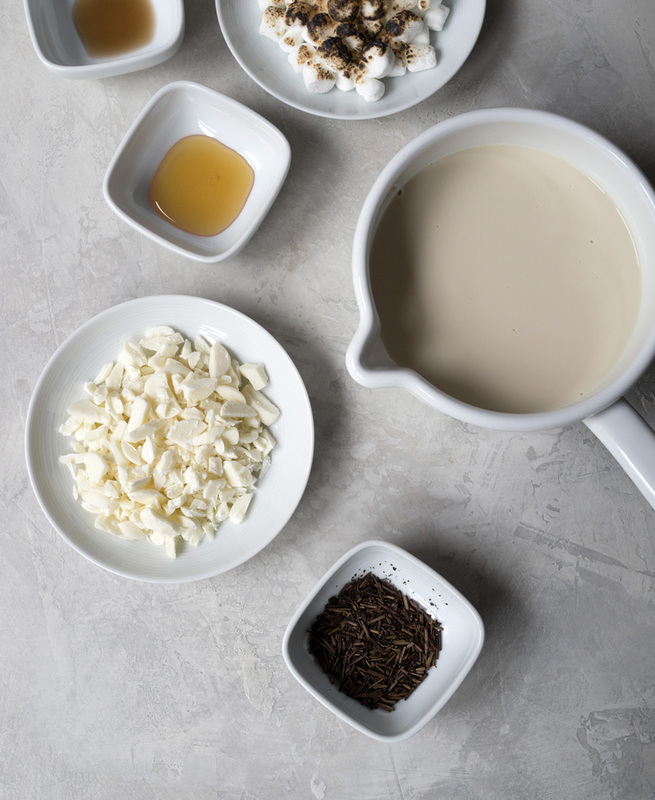 Stir or whisk (if you want a bit of a froth) the white chocolate, honey, and vanilla extract into the hojicha milk until well combined. 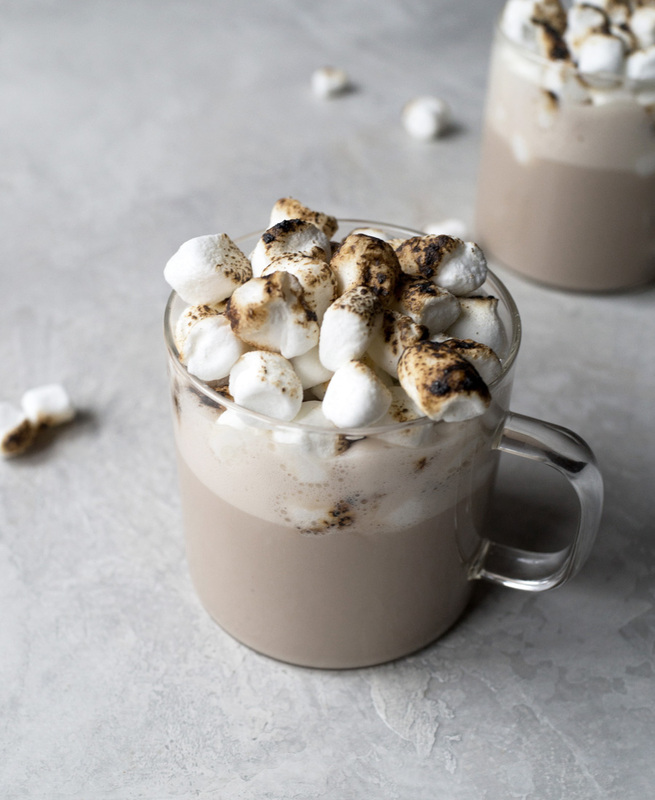 Pour the hojicha white hot chocolate into two mugs and if you would like, top with toasted mini marshmallows. So why didn’t you call me when you poured the second mug?